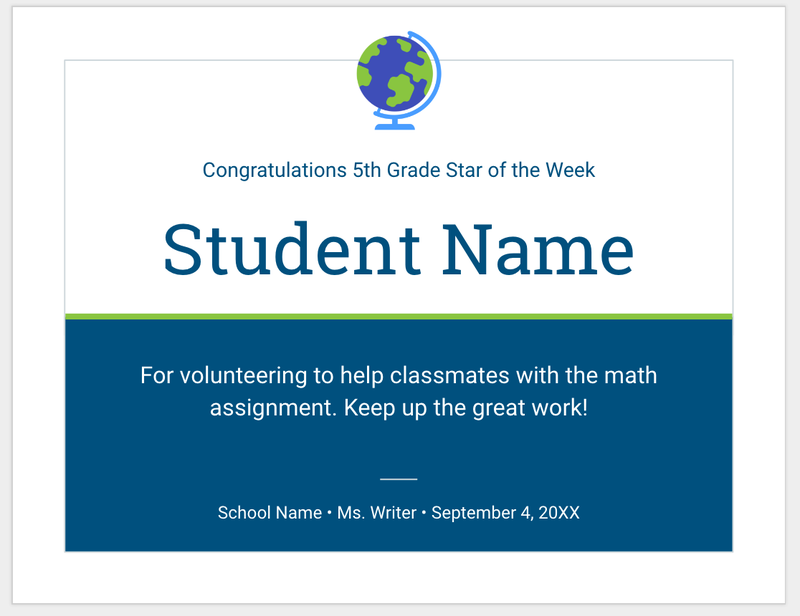 A few days ago one of our readers here in EdTech and mLearning emailed us asking about suggestions on creating students certificates. Our best recommendation is this handy template from Slides new template gallery. Of course, there are several other options to use to create students certificates including, Google Docs, Google Drawing, PiktoChart, Canva, Microsoft Word to name a few but most of these options require you to start building a template for your certificate from scratch. With this template, the designing work has already been done for you and all you have to do is some minor tweaking (e.g. editing and adding your own textual data) before sharing it with others either digitally or through print. The layout of this template is pretty basic. It consists of a title, student name, a short description, school name, teacher’s name and date. To start using this template, you need to head over to Slides gallery and click on 'More' on top right hand side and scroll down to the bottom of the page where you will find a template named 'Student Certificate' located under 'Education' category. Once you find it click on it to create a copy in your Google Drive where you can start editing it. You can change the theme of the template by selecting one of the suggested themes on the right hand side. When you are done editing, you can download it in different formats (e.g PNG, PDF), print or share it through a generated link.